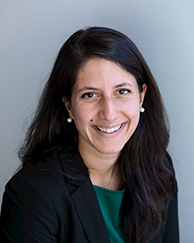 Sarah Moshary’s research interests span from industrial organization to political economy, including work on the pricing of political advertising on TV, the privatization of liquor sales in Washington state, and price obfuscation in e-commerce. Moshary earned a PhD in economics from Massachusetts Institute of Technology and an AB in economics from Harvard College. Prior to joining Booth, Moshary was an Assistant Professor at the University of Pennsylvania in the Department of Economics. Between her studies at MIT and her time at the University of Pennyslvania, she was a postdoctoral scholar at eBay. We study the effects of potential entry on market outcomes in the context of Washington state's 2012 switch from a state-run monopoly to private liquor sales. Concern about alcohol-related crime prompted regulators to institute a 10,000 square foot licensure requirement to curtail entry. This store size threshold generates plausibly exogenous variation in the number of eligible entrants in local liquor markets across the state. We find that widening the pool of potential entrants has a small effect on pricing, but a significant effect on product offerings. In particular, markets with more potential entrants see a compositional shift in product offerings towards cheaper goods. Further, we find that the size requirement changes the composition of entrant size, rather than the aggregate number of entrants.